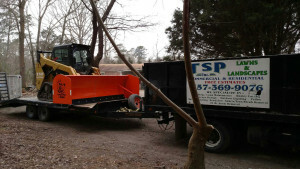 Rely on TSP Lawns & Landscaping of Yorktown Virginia for your upcoming building tear down and remove old building and sheds from your property. Get rid of that eye sore and restore your property to like new condition. We have the equipment and experience to tear down old buildings and remove them from your property. In addition to building removal we can landscape the area where the old building was before removal. Call Us at 757-369-9076 or CLICK HERE to Email us for your building tear down! We are an experienced building removal contractor that specializes in tear down medium sized buildings that are not longer of any use or are a eye sore. From planning your building tear down to removal and cleanup, you can trust the TSP team to safely manage your site with integrity. We pride ourselves on delivering on-time results. Whether removing all the building materials or restoring you landscaping to its original condition or even better, our experts will work with you, making decisions that give you long-term peace of mind. Just think about adding a new patio or custom landscaping to where the building used to be, just count on TSP Lawns & Landscaping. 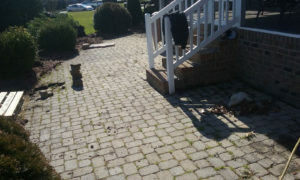 After we have removed the building from your property, we can grade your lot and landscape that open spot in your lot.